Literary podcast nerds rejoice–Ann Kingman of Books On The Nightstand fame is behind the mic once more! We asked you to call and write in about the people you want to give the gift of a good read this year… and WOW, you all delivered! Ann and I are tackling some of them today, so get your wrapping paper at the ready. We had so much fun dishing out rapid-fire recommendations for young AND old readers with highly varied literary interests. You’ll also get to hear what Ann’s been up to since Books on the Nightstand shut its doors, and both of our favorite bookish-but-NOT-book gifts for the holiday or any other season. Listen to archived episodes of Books on the Nightstand here. Brooklinen works directly with manufacturers and directly with you, the customer, with no middlemen—which means they can give you 5-star hotel quality sheets that are affordable and easy to order. Get $20 off AND free shipping when you use promo code READNEXT at Brooklinen.com. Blinkist is the only app that takes thousands of best-selling nonfiction books and distills them down to their most impactful elements, so you can read or listen to them in under 15 minutes, all on your phone! WSIRN listeners can go to Blinkist.com/READNEXT to start a free 7 day trial. 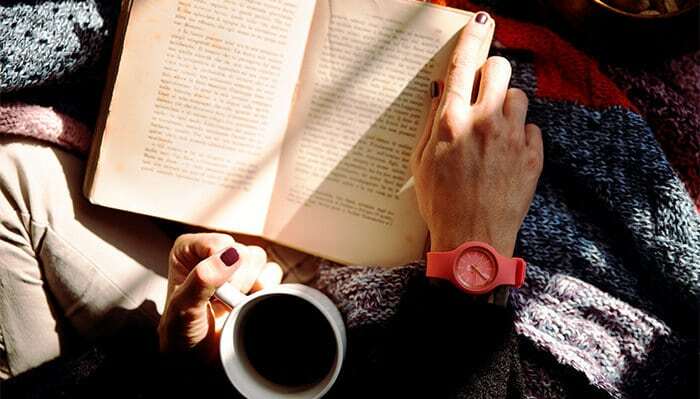 What bookish gifts are you giving this year? 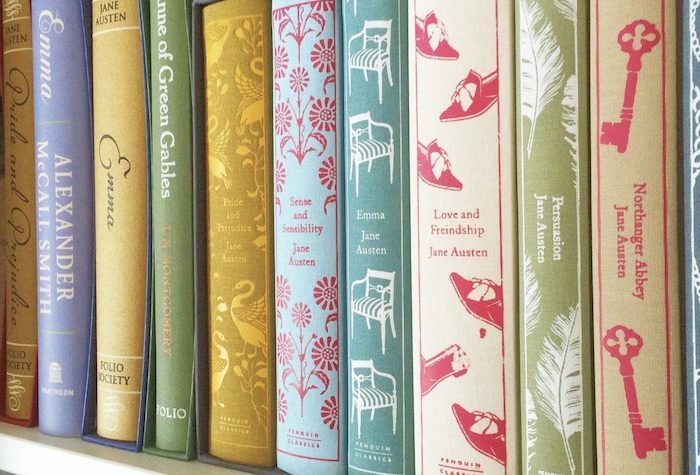 What literary treasures have been a big hit in years past? Tell us in the comments! Oh my gosh – I’m so excited to listen to this one! I loved Books on the Nightstand and miss it for sure! Thanks for having her on! Books on the Nightstand was my gateway podcast to podcast-listening. Can’t wait for this one today! This entire list is phenomenal, and my TBR will never be the same! Just listening to the podcast, Anna said her boyfriend likes books about wine. There is a book that’s at least 10 yrs old, Love By the Glass, written by the couple who write the wine reviews for the WSJ. It’s delightful, interesting, about wine but also life. It’s just a little gem. Thank you for your recommendation, Jen! Forwarded it to my boyfriend – he’s excited to get started. ? Haha! Surprised and delighted to get a quick mention on today’s podcast! The cycling book mentioned was The Rider by Tim Krabbe. If her fiancee is into cycling he might also like The Lantern Rouge: The Last Man in the Tour de France by Max Leonard. Stars indicate that a book was recommended by Ann or Anne! So excited to get a quick mention on today’s podcast episode! Can’t wait to check out some of these graphic novels for my daughter! Thanks for the recommendations! This is the most exciting day! So thrilled that I (and my Aunt Laura) made it onto my favorite podcast! The recommendations for her sound amazing, and I will definitely be giving them to her as gifts. My family draws names for Christmas gifts, and although I did not draw her name this year, I’ll be giving her the recommended books anyway. Anne and Ann thought is was interesting that they recommended two books set in a much earlier time period than my aunt’s three picks, but those recommended books will be perfect. I originally created a list to submit, but decided I should ask her instead of guessing. The three books she chose are not what I guessed. Included in the books I guessed for her was a book set in the 1800s that deals with slavery, so Anne and Ann definitely read between the lines and chose books that fit her reading interests. Aunt Laura doesn’t listen to podcasts, but found the format of this one interesting. She loves the idea as a conversation starter, and has been asking everyone for three books they love and one they don’t. She added her own category of “one book that surprised you”. My family spent much of Thanksgiving doing our own version of the podcast. This podcast episode also gave me book gift ideas for my husband and my dad. Book gifts for everyone! I had my family play the “3 books you love” game while prepping the Thanksgiving meal too! I loved it. On the note about Graphic Novels : I am Princess X – great one. And if you like Radio Theater the Audiobook adaption addresses the disparity between audiobook between graphic novel and books. So fun, but like a lot of graphic novels it has some darker themes, preread for sensitive readers. There were so many great recommendations on this episode! I loved it! The way I am trying to start the Iceland Christmas Eve tradition here is I am going to give everyone I am with on Christmas Eve a used book. No obligation from anyone else. But hopefully the fun of it will catch on. I went to my library’s used book sale and already got the books. New books are expensive, especially if I don’t know if someone will like them. This way it is low pressure, but lots of fun! What a great idea! I’ve been buying used books from my public library lately, too. They are often in great condition, and the price is fantastic — $2 to $4 for a hard cover book, depending on its condition and the date of publication. Better than the used bookstore! We started this with my extended family last year and everyone really enjoyed it. Some people bought new books, but most people just picked something from their shelf that they loved. It was really interesting because we ranged in age from 15 to 78, with a wide range of tastes in books, but it worked! Planning to do it again this year. I love this idea! I’m thinking about starting this with my friends for our annual girls’ weekend in December. I think they would get such a kick out of it. Now I just have to think about which books to get them. That’s a genius idea! I love it! Another book about Hedy Lemar is The Only Woman in the Room by Marie Benedict that just came out in October. It’s on my TBR list. Red Notice: A True Story of High Finance, Murder, and One Man’s Fight for Justice, by Bill Browder. This may be a book for the son of the woman who called in about business books. I haven’t ready it yet but I’m about to pick it up from the library. Great, great episode. Makes me miss Books on the Nightstand all over again. Hearing both of you together was a treat. Thanks, Anne. Thanks for a great episode! I think you gave me a good gift for my dad-the nonfiction novella Ann mentioned. Our family is on year 2 of our own mini book flood. My parents, siblings, and our kids all draw two names and then shop for a book for each person. We all guess who bought whom the book, and we all have two new books for winter reading! Loved all of the great recommendations from the two Ann(e)s! In this episode you mentioned wanting to celebrate Jolabokaflod here in the U.S. 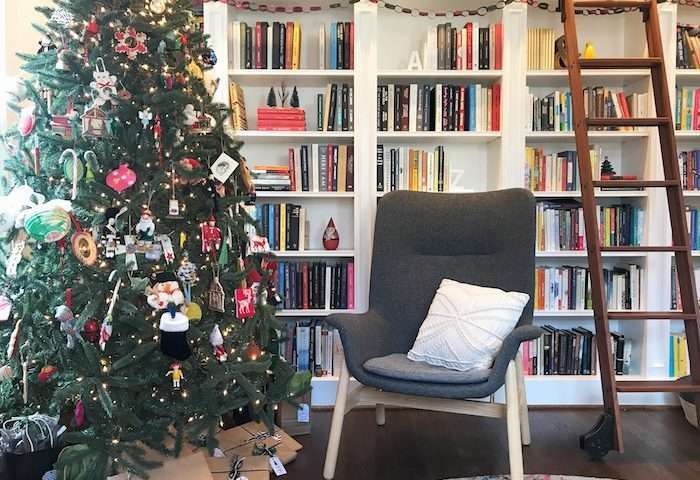 This year, my library’s used book store, The Book Cellar, adopted the tradition of the Icelandic Book Flood for their annual Holiday Book Sale. We’re having so much fun promoting this holiday within the library and, with the help of a local screen printer, created a Jolabokaflod tote bag for our patrons to use as a gift bag for all of their bookish gift giving this holiday season. I’d love to send you a tote bag to celebrate Jolafokaflod! On my gosh I want one of the tote bags! I am the only serious Reader (capital R intentded) in my family and last year I treated myself to the Jolabokaflod flannel PJ set that I think was sold by Out of Print as a special. Having that tote bag would be a great treat for myself this year. It might make it easier to put up with all the teasing I get from the peasants -er, I mean my family! Ben Hatke’s graphic novels are great for the reluctant reader crowd! Thanks for all the recommendations. How about a graphic novel recommendation for a 17 year old boy who loves video games, photography, physics and doesn’t love reading. I want him to love reading!! I thought a graphic novel might be a good intro. He’s reading The Scarlet Letter in school now and that’s going well….not! Ha! Thanks in advance! The graphic novel March by John Lewis might be a good fit! This was probably my favorite of all your episodes! I could have listened to the two of you answer the listeners ALL day. I now have book ideas for everyone on my Christmas list and my family will be adopting the Icelandic tradition of Jolabokaflod. I loved listening to two of my favorite bookish ladies! I miss Books on the Nightstand so so so much. Michael and Anne were just delightful. I think you need to have Anne back for a traditional podcast! Listening to the podcast reminded me to suggest “Bad Blood” as a gift from my MIL to my husband. I selfishly suggested it because I want to read it, too! I just finished listening to the episode! Oh my gosh, I could not type fast enough in my library/goodreads/amazon search! So many great recommendations! Thank you thank you thank you! I loved this episode! So fun to hear Ann and Anne recommend books for all types of readers. Also I have so many books to add to my TBR! And I know my husband would love The White Darkness. For the woman whose father loves biographies of men and wants to give him the chance to branch out to women, my husband has similar taste and really likes Catherine the Great by Robert K. Massie. It’s a long one (625 pages according to Goodreads!) but if he’s a fan of Chernow, I’m sure he’s up to the task. Excellent episode! I was so happy to hear Ann gush about “My Sister, the Serial Killer.” I love the cover but am not one for a “serial killer novel.” But a family drama that has a quirky serial killer tone to it? Yes, please! I also have had “Washington Black” on my TBR list awhile, so I’m glad to hear that the hype is right. For the lady whose husband was giggling in bed while reading Bill Bryson, I wonder if he might like “Lab Girl” by Hope Jahren. I was awed by nature, science, and I giggled so much to boot. Jahren is an excellent storyteller! I absolutely loved this episode with both Anne and Ann giving recommendations. I added so many books to my TBR and have great ideas for the readers in my family. Now off to look up Iceland and this “book flood!” ? Wow! This is the first episode I’ve listened to and can’t wait to go back and listen to more! I teach education law to graduate and law students and I recently started incorporating novels to help students really learn the concepts (and it is a nice break from reading cases and research). Right now I am using The Devil and Webster by Jean Hanff Korelitz in my Higher Education Law class to explore issues of student speech, equity, and leadership. It has been awesome! Are there more school-related fiction books out there – either K-12 or college? Oh my bookish heart exploded! Books on the Nightstand was one of the very first podcasts that I started listening to after Serial got me hooked on podcasts. Ann & Michael’s podcast led me to WSIRN and the rabbit hole of other bookish podcasts that I’m now subscribed to. I was so excited after seeing Anne’s teaser on IG and even more thrilled to get to listen to this one. I want Ann to come back and give us 3 books she loves, 1 she hates and Anne to recommend her three books back. Bravo! Great episode. Wonderful episode….and I think you should do this quarterly (or maybe twice/year)? The guy who likes The Sparrow should read Speaker of the Dead if he hasn’t yet. It’s a sequel (so read Ender’s Game first if you don’t want to be spoiled), but interesting book about contact with an alien species. A big thank you to both Anne and Ann for giving me book ideas for my friend Bella in Bhutan! I will be sending all of the recommended books to her for Christmas! Very much appreciated! Happy holidays! Anne, this was so enjoyable that I’m going to go back and listen to the archives of BOTNS! Also, I picked up a copy of “I Am Pilgrim”. Oh my what a terrrific read. I started it last night and it is so intriguing, you can’t put it down and I will have to be anti-social for awhile! Thanks for mentioning it! * Thunder & Lightning: Weather Past, Present and Future. Would make a great “coffee table” book, but super interesting read. These are all *nice* feeling books, very gift worthy, and could be great gifts for teachers, etc. They are also all very accessible and fun, even for the not-as-nerdy. The classic cycling book you are thinking of is The Rider by Tim Krabbe. ? I can see why you think so—that’s a lovely orange cover. I figured it out: I was trying to think of Gironimo! : Riding the Very Terrible 1914 Tour of Italy by Tim Moore. For the person who loved Memoirs of a Geisha I would suggest The Tea Girl of Hummingbird Lane by Lisa See. I listened to this one and it was a wonderful tale encompassing generations of family, tradition, and I learned a lot about the tea trade in China. Non- fiction wine mystery – highly recommend ! I’m still catching up on all the back episodes so I’m curious have you tackled the topic of #DNF titles? I suffer guilt putting a book down after I’ve already committed, especially when it comes so highly recommended. The two titles that come to mind – and likely many readers/listeners favorites are The Poisonwood Bible and The Red Tent. One, have you tackled this topic on the podcast – and what are some other titles people have put down – even multiple times!? I’m still listening to back episodes and came across this episode. I love to get/gives books I loved to people and my friends do an annual Christmas book exchange. I wanted to recommend an author for the mom who read harry Harry Potter Potter her son. Brandon Sanderson is a fantasy writer with many books about four a wide range of readers. I want to recommend his series Alcatraz Smedley versus the Evil Librarians as a hilarious take on the fantasy genre. I still love reading them as adult and I’m trying to convert all my younger cousins.